Our Home strives to work with the local community so that no child is denied the right to an education, adequate shelter, love, care and a nutritional diet. Our Home legitimately receives foreign donations under India’s Foreign Contribution Regulation Act through the Legal Aid and Education Society (LAES) of which Chacko is also the President. Our Home is a registered Charitable Trust and a licensed orphanage in Kerala. Our Home Community is a grass-roots organisation established by a local Keralan, Chacko K Mathew. 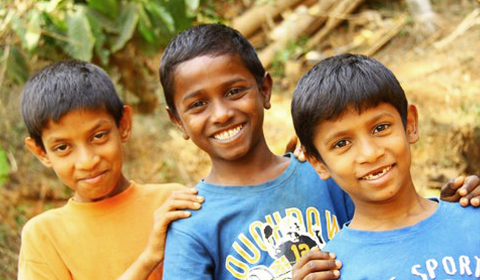 We provide a safe and loving family environment for approximately 45 orphans and homeless children in Southern India. In 2002, Chacko came across seven-year old Christen, who had been abandoned by his parents. Realising there was nobody to care for Christen, Chacko undertook to find him a permanent home. After many failed attempts, Chacko realised he would have to provide Christen a home himself. Since 2004, Vikali Murru (Avi) has also worked at Our Home. Today Avi and Chacko are a committed husband-and-wife team, strong role models and dedicated Father and Mother to the children who live in the Our Home Children’s Village. Our Home relies entirely on the generosity of donors and ongoing sponsors who enable us to continue to care for orphaned and homeless children. 100% of all donations go directly to the children. There are no employees, only volunteers who are committed through love. 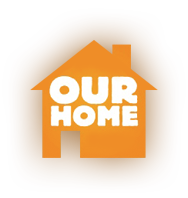 Together, we form an extended Our Home Family committed to making lasting change in the lives of our children.